Our team operate brushcutter, chainsaw, woodchipper and herbicide licences including EcoPlug Max. We also own and operate a tracked skid steer with height adjustable scrub mower. We employ recognised techniques such as high strim and low strim. Best practice to avoid injury to wildlife. 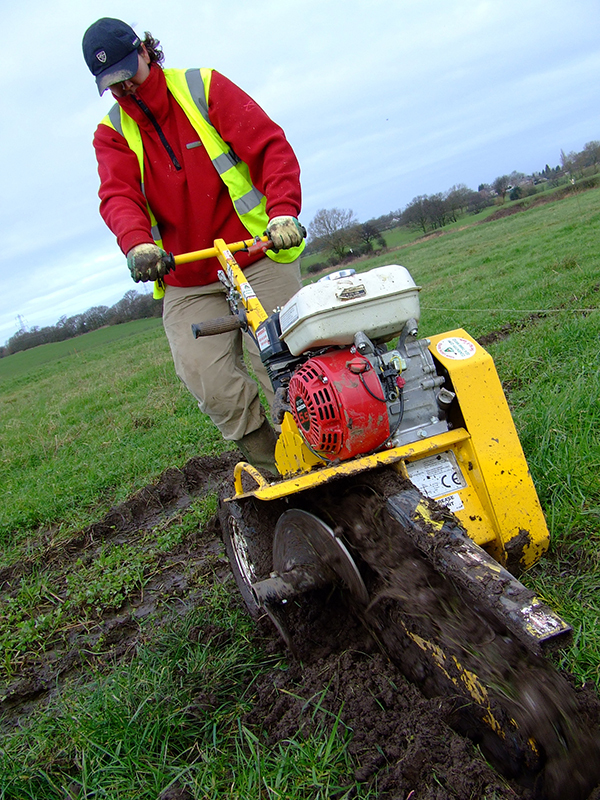 “Small footprint for big conservation gains” We operate tracked machinery to minimise our footprint on sensitive sites. Our adaptable scrub mower is mounted on an adjustable boom to the front of the skid steer and allows us to dictate the cutting height. 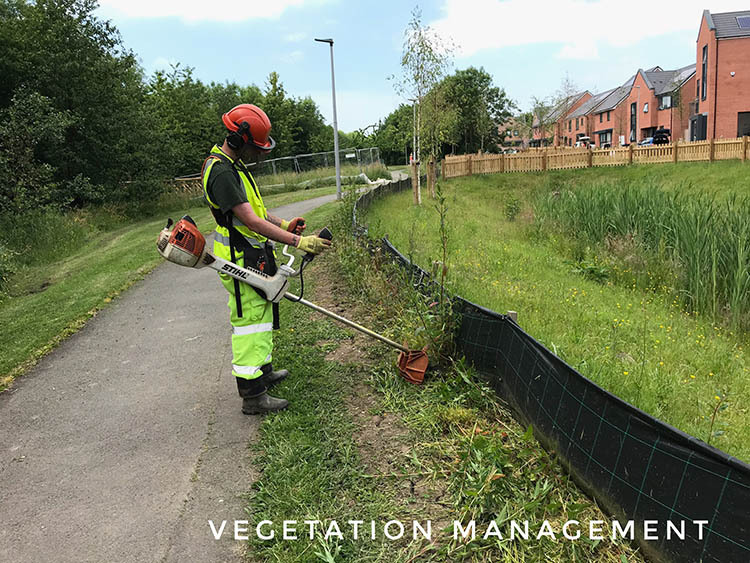 We can instantly revise the cutting height to safely pass over sheltering animals, habitat features or valuable flora which is to be retained. Our scrub mower is perfect for tackling overgrown habitats. It will cut long grass, weeds, thistles and bracken. It even cuts woody materials such as bramble, reeds and small saplings. 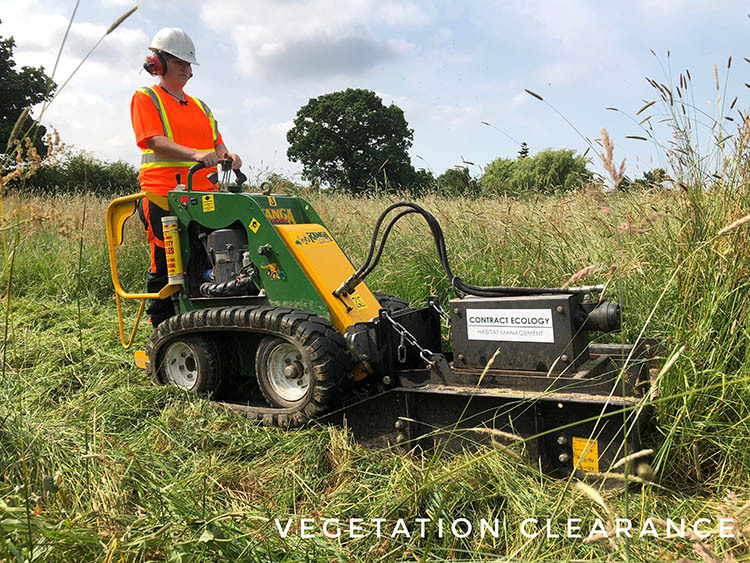 It is perfect for treating larger areas of vegetation clearance without the need for large machinery. And because our team is ecologically led, you can be sure that we will conduct our work with exceptional diligence for protected species presence and nesting birds. 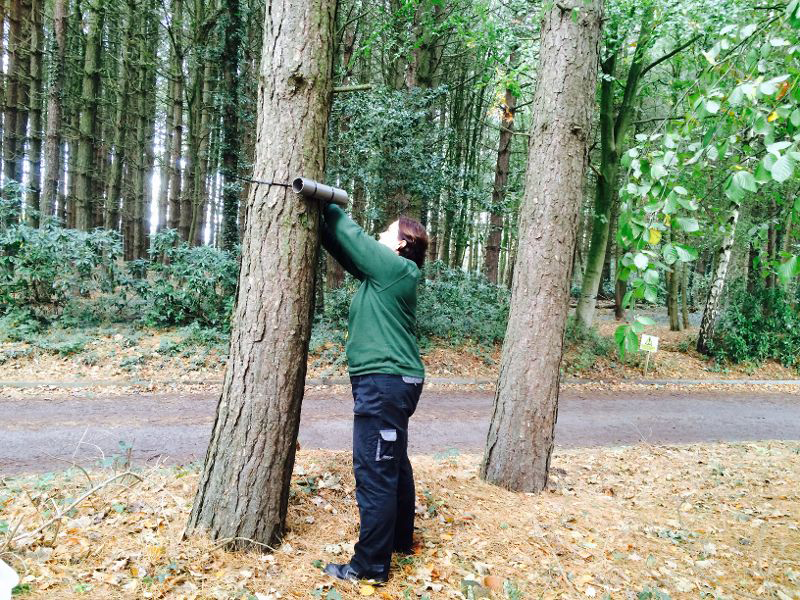 We offer tree felling and removal for both woodland management and as part of site clearance for ecological mitigation works. We do not undertake requests for domestic tree surgery or arboricultural hazard works: Because we are specialists in habitat conservation and ecologically led works. 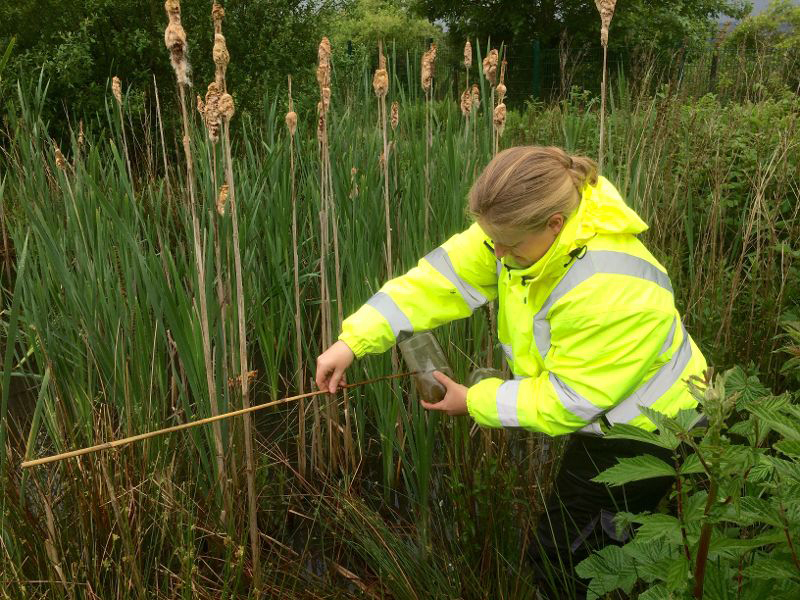 Our company aim is to better biodiversity and we achieve this by helping our clients and fellow ecologists to get the best out of their mitigation and habitat management schemes. We undertake species displacement through habitat manipulation. That means we will deliberately degrade the habitat so to encourage a species to vacate that location. 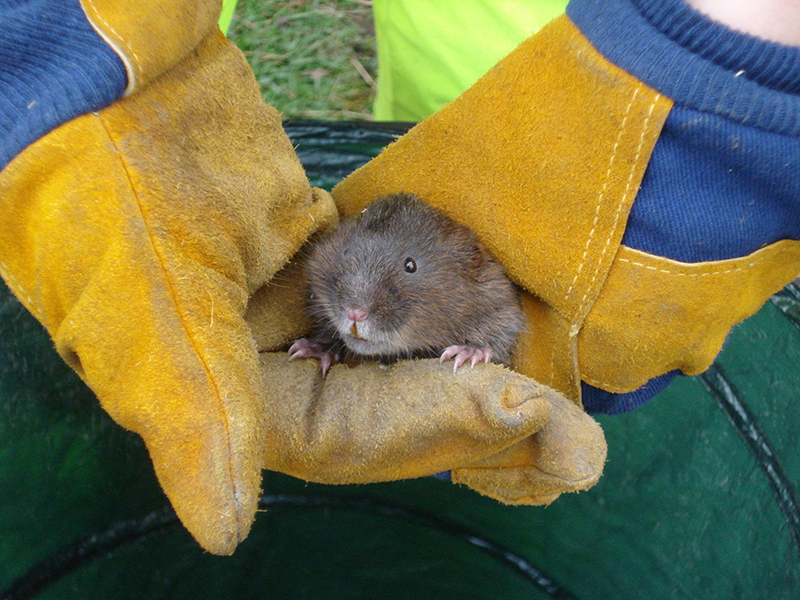 Species displacement works particularly well with reptiles and water voles. This can be done under a precautionary working method statement or EPS licence. If you don’t already have an ecologist appointed, we are licensed and fully insured to oversee any necessary ecological input needed. 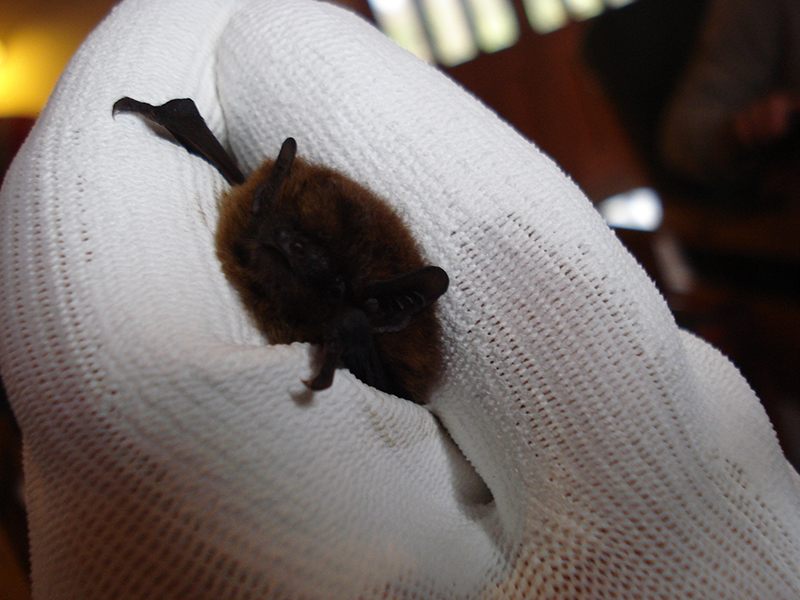 We also carry out habitat manipulation to encourage animals to populate an area too. This is useful when encouraging birds to occupy alternative nesting habitat. 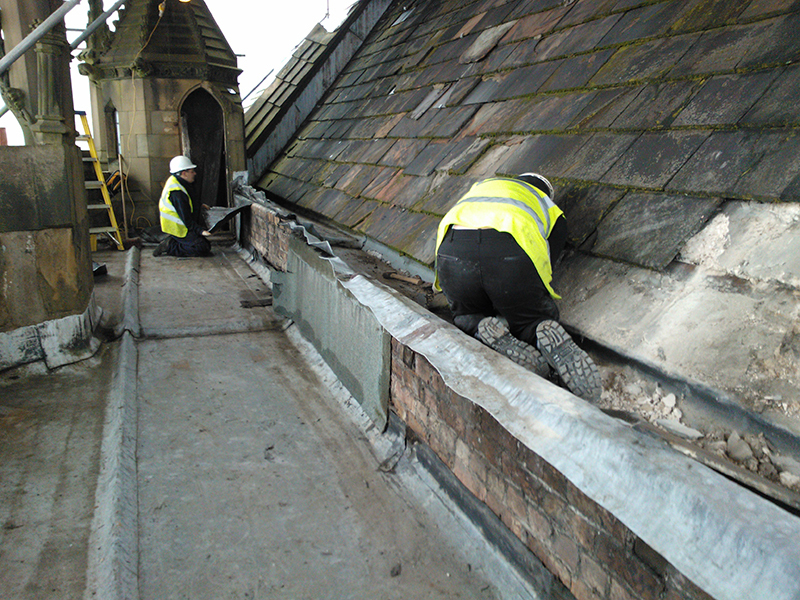 Book us for this work between September and February to avoid disturbing nesting birds. 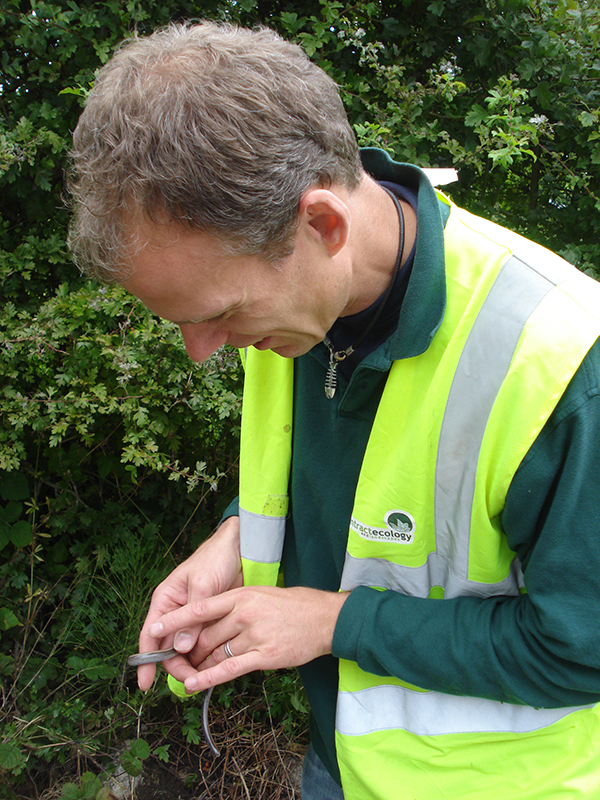 All our operatives are ecologically trained. We can undertake direct commissions or assist your ecologists with carefully stripping areas likely to have animals present. 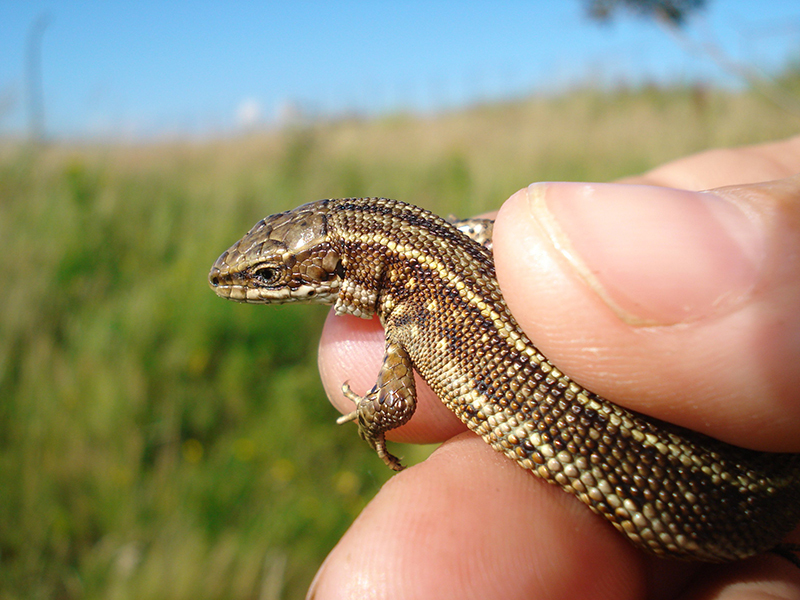 Our ecological knowledge and experience mean we can identify suitable refugia, that might be harbouring amphibians or reptiles. 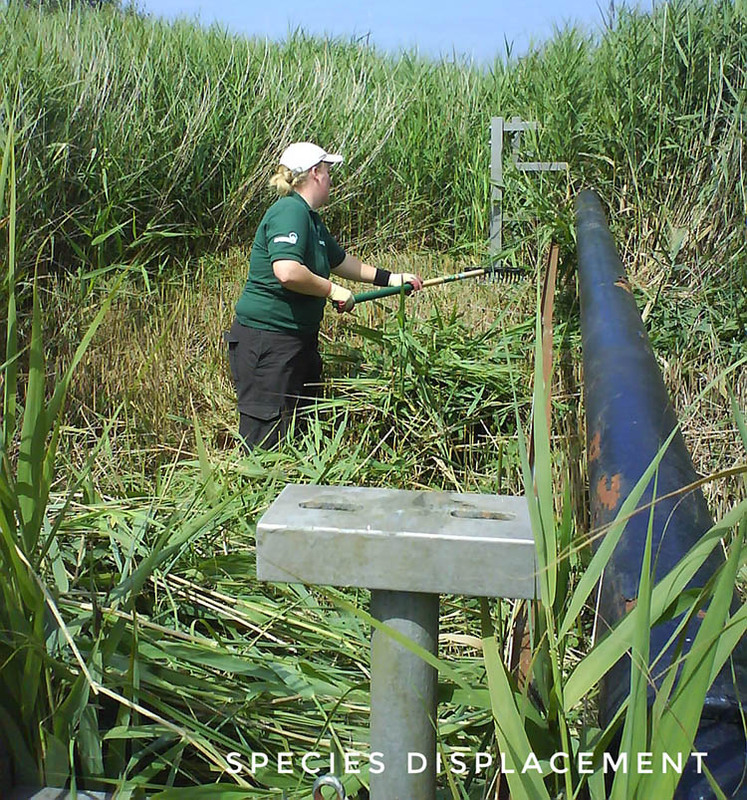 We can then oversee hand searching of habitats and dismantling of refugia prior to site clearance.